During the first week of school, there were booths for us to sign up to join the clubs in Yonsei University. Unfortunately, many of the clubs do not accept foreign students. 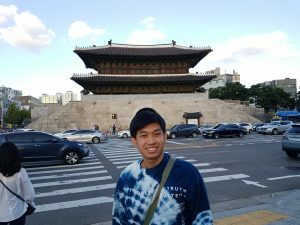 Initially i wanted to join the volunteer club but they would only allow for students who would be at Yonsei for more than a year. 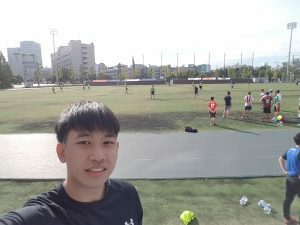 Luckily, the soccer club allowed for exchange students to attend their trials. I was really impressed of the discipline and dedication of the players in Yonsei. The training was at 7a.m. and having reached right on the dot, the other players were already geared up and ready to jog by then. I was a good chance for me to meet other exchange students during the session as there were minimal exchange students in my other classes. During the week, I visited Dongdaemun as well with some new friends. They were Singaporeans as well, who were the only other exchange students taking the engineering classes with me. DOngdaemun is one of the larger shopping districts in seoul and it gets very lively especially at night. One of the things that really excited me was their high-tech arcade games. An example is the augmented reality baseball as shown in the video. 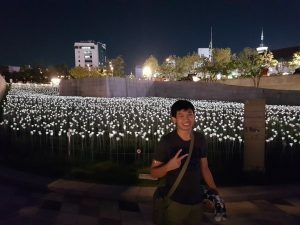 Generally, dongdaemun is a location for family of all ages to visit as the led rose bed makes for very good pictures as well.